Technical advance requires resources and is motivated by the quest for profits; therefore, the rate and direction of advance is determined by the economic system. Recognition of this fact has focused attention on the performance of the market economy in the allocation of resources to technical advance, and the consequent body of research is surveyed and synthesised in this book. 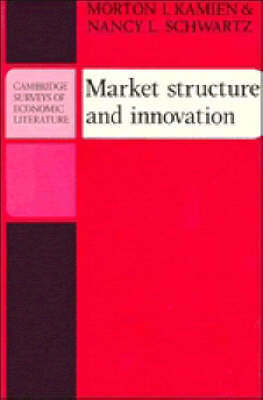 The theories of market structure and innovation proposed by Schumpeter, Galbraith, Arrow, Schmookler, Scherer, Mansfield, Phillips, Barzel, Kamien and Schwartz, Loury, Nelson and Winter, Grabowski, Dasgupta and Stiglitz, and others are presented in an integrated form. These theories deal with the nature of competition, the incentives to innovate and the pace of innovative activity under different market structures, and the existence of a market structure that yields the most rapid rate of innovation. In addition, the findings of seventy empirical studies dealing with various facets of the microeconomics of technical innovation are presented. The book is designed to be accessible to economists working in a variety of situations - in universities, business and government - and who are concerned with questions of technical innovation. It is also suitable for senior-level undergraduates and first year graduate students approaching the subject in a comprehensive way for the first time.